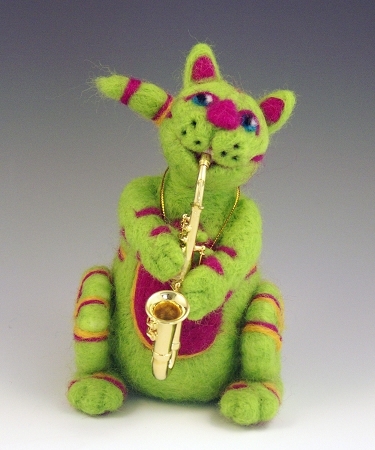 Jazz Cat by customer Cindy Lee of Folsom, CA "Here’s a picture of one of my Jazz Cats that I’m needle felting for a show at our local gallery during the Sacramento Jazz Festival. 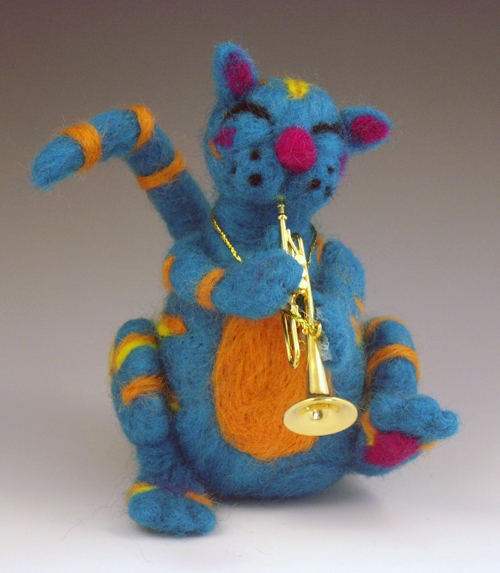 I plan to felt a whole bandstand full! The Spanish Fiesta colors you offer are perfect for this theme. Thanks for your wonderful website. It’s an inspiration."